Senior went 46-3 this season, with 26 matches decided by pin. Oak Hill High School’s Danny Buteau capped a stellar high school career by winning his fourth Class B state title. This season he posted 46-3 record, winning 26 matches by pin. For his career, Buteau had 176 wins and 79 pins. Buteau won 40 or more matches in each season of his career. 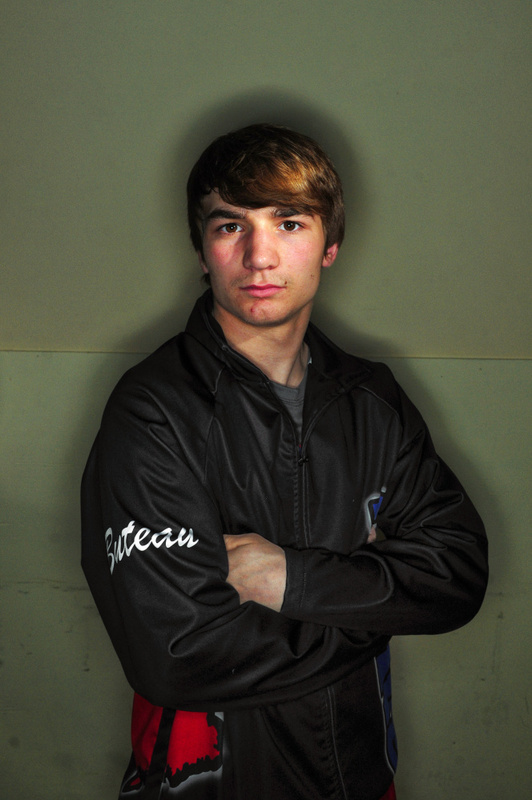 For his outstanding performance, Buteau is the Kennebec Journal Wrestler of the Year. Buteau became Oak Hill’s first four-time state champion, winning two state titles at 106 pounds, one at 120 pounds and one at 132 pounds. Buteau started wrestling at 8 years old, and his introduction to the sport was a bit of an accident. Since then, Buteau has developed into a highly skilled and confident mat athlete. Buteau says his self-confidence is key to his success. Buteau has also spent a lot of time outside the Oak Hill practice room honing his skills. Buteau competed in tournaments in Virginia, Maryland, Pennsylvania, as well as in Fargo, North Dakota for the USA Wrestling Nationals Tournament during the offseason. Buteau also played football for the Raiders, starting as a cornerback and rotating in as a slot-receiver on offense. He was part of three Oak Hill state championship teams. Buteau is uncertain what he will do after graduation in June, but one thing is clear — wrestling will still be a part of his life.